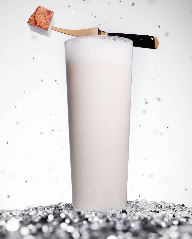 I was totally craving a Pina Colada the other day (no doubt missing Hawaii) when I recieved an email from Ciroc telling me about their signature holiday drinks. As most of my readers know, I try not to advertise particular brands on this site (unless I think they are necessary for the drink) and I RARELY pick vodka as a base…however this one recipe spoke to me. Minus the rum, it has all the makings of a Pina Colada but with all the spices and warmth of Fall. It is creamy, refreshing and tropical but with that wonderful seasonal twist. Quite simply, this is a great Holiday drink that works particularly well for those of us stuck (oh it’s so hard! ;))in warmer climates in the holiday season eg. Australia/Los Angeles/Singapore etc… it tastes like Summer and Autumn in one! If you want to try something a little different this Winter, I say give this recipe a go. Shake in ice and strain in to a coupe. My parents are currently in LA from England and I have been out showing them all the great places to drink and eat in this town. It has reminded me of a number of drinks I wanted to share with you all. I have recently started to enjoy Tiki drinks in particular, and although the above drink isn’t particularly of this genre, it definitely has a little bit of a tiki vibe with the rum and pineapple. Today is Mothers Day in America so I thought I would put up a drink I feel most mothers would enjoy. Plus it’s a really easy recipe to execute at home. I have had this drink a few times in the past 2 months at Short Order next to The Grove shopping center. I will undoubtedly be writing a post on them soon, seeing as their food is also fantastic (their Mac and cheese is divine). The above recipe is perfect for the coming summer months, because it is pleasantly sweet and refreshing. Anyway here is a nice simple recipe that is easy to make for your mom/mum today. Enjoy. I have been writing this post for a few weeks now, because I have a lot to say about this restaurant in particular. I finally decided I need to put it up because all the other media seem to be beating me to it, and i’ve been coming here since opening day!!! Reviews and press have just started to come out about this place (LA times did a feature and they have been mentioned on KTLA radio) and rightly so, it is a wonderful restaurant to get really well made Italian food. It is also a fun place to go with friends for a drink. 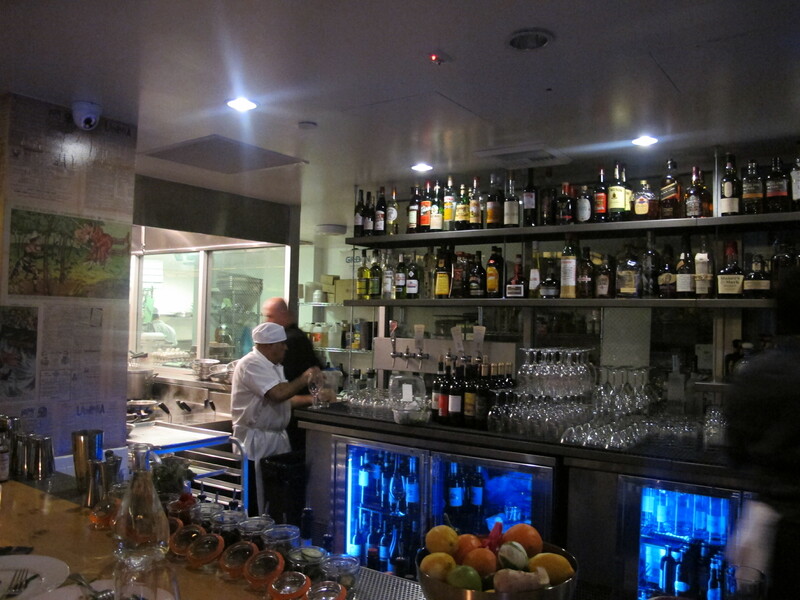 The location I am discussing in this post is the brand new Hostaria Del Piccolo in Venice Beach, California. However please note that the same wonderful menu can be found at their original Santa Monica location on 6th and Broadway, I highly recommend checking out both as they have the same amazing food and drinks but totally different vibes. This location is much larger than the first and you really feel the openness when you first walk in. Their signature bright blue aprons can be seen on the staff dotted around the room and they’ve cleverly accented the bar with this color too which make it look young, fun and cool. I actually really like the lighting in general at this place, there is a tunnel light that wraps across the ceiling giving it a modern vibe that works well against the wood communal tables. 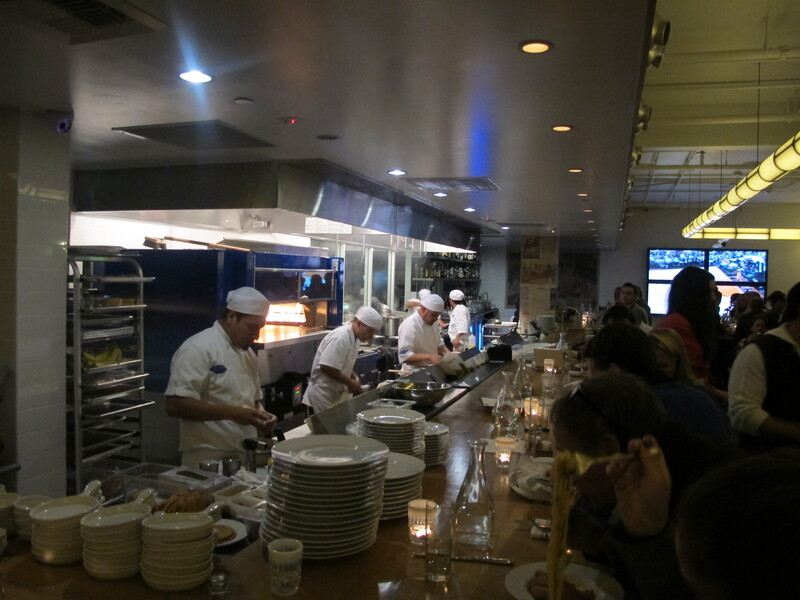 The Kitchen is in open view to the customers so you can watch pasta being rolled and pizzas being made in front of you. This is an authentic Italian restaurant and the food is nothing short of fantastic. The owner is Italian, a lot of the staff are Italian and you feel its authenticity not only when you taste the food, but when you talk to the people there (many of whom are Italian). In particular I want to mention one of the managers Christian Bertolli, who is probably one of the most charismatic, friendly and delightful Italian men I have ever encountered. 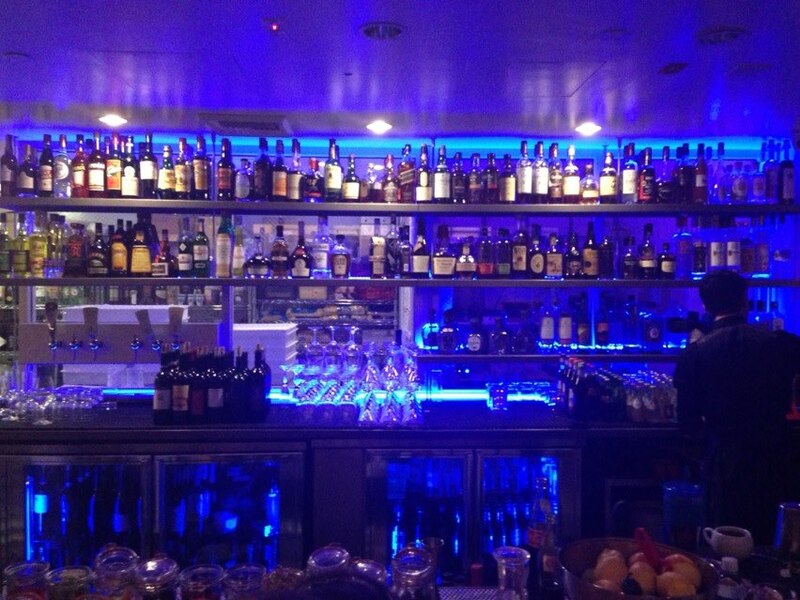 All the staff are lovely here and the bar team are extremely knowledgeable on ‘real’ drinks and cocktails, due to their new Beverage director Greg Bryson who was hired to update the bar program at both locations a few months ago. I have been to this new spot three times already and every time it is busier than the last. I am going to talk about some of my favorite dishes, however I am yet to find one I don’t actually like. There are many more on the menu that are worth trying, but the ones below are my top choices. Gnocchi to me is best described as a potato dumpling. I imagine if pasta and potato had a baby, they would have a gnocchi! Most places I have tried gnocchi before I didn’t really like it too much. 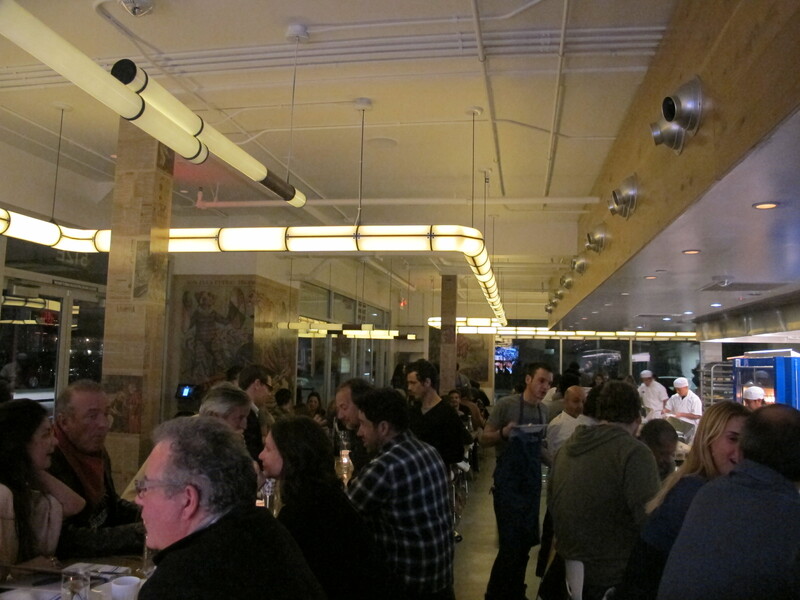 I found it to be a stodgy and heavy dish, however this is not the case at Hostaria. Their Gnocchi (made fresh daily) is soft and fluffy, it is deliciously cheesy with a rich tomato sauce on top. It is also not a ridiculously huge ‘American’ portion. 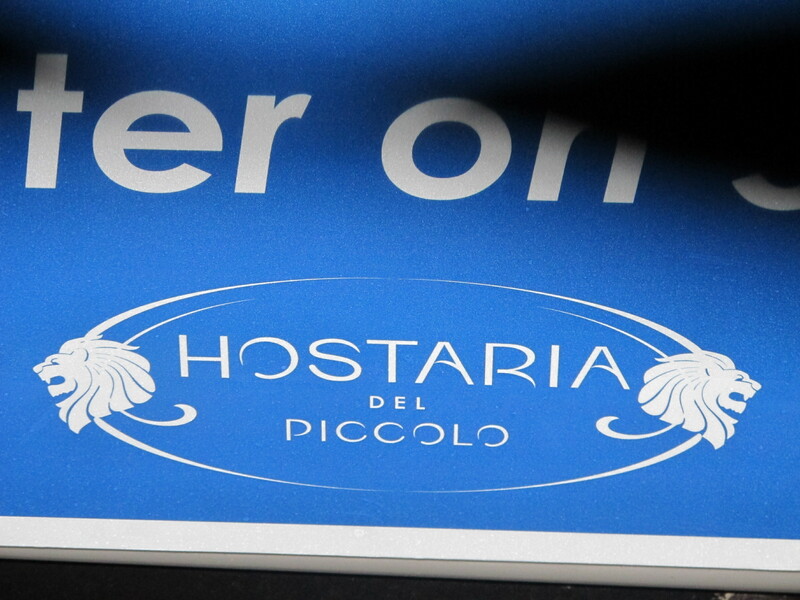 All the portions at Hostaria are just right, they take quality over quantity to a new level. In fact, their slogan is EAT LESS, TASTE MORE! In a country that is often over indulgent I really love this idea, I am always full when I leave and never have a doggy bag. The portion sizes are just right for a comfortable evening. When I am trying not to eat breads or cheese (so hard at an Italian place) this is my go-to dish of choice. You get three delicious pork ribs that are perfectly seasoned and full of flavor but not covered in sauce, on top of cannellini beans which are filling without being over indulgent. A really yummy, simple appetizer. I am a big fan of fried calamari (which they also have on offer) however when you want something less greasy this is a nice appetizer option. The spicy chard gives an almost peppery spiciness to the dish. The texture is a little more rubbery than the fried version but really good nonetheless. I want to keep going on the menu (haven’t even begun to touch on their other delicious pasta options, not to mention they also have a phenomenal brunch menu that has items such as Ricotta Stuffed Pancakes, Espresso rubbed Pork and Eggs and a Salmon Eggs Benedict to name but a few) but I have to talk about their drinks too. 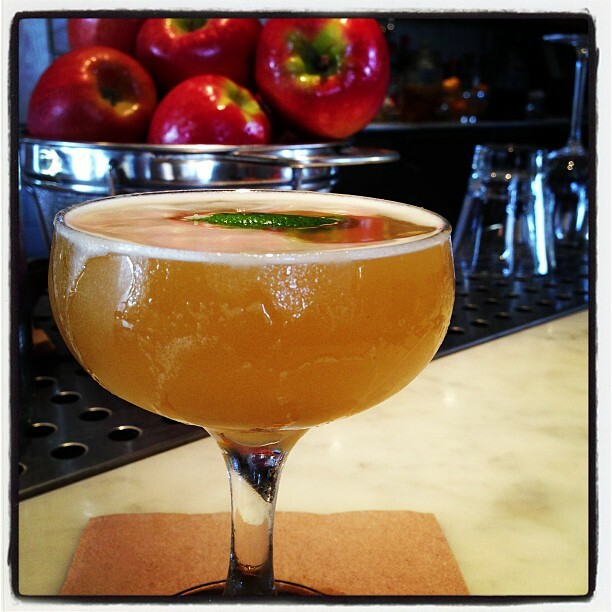 Greg Bryson created some delicious drinks for the menu and will be rolling out his Spring creations soon i’m sure. They only makes drinks using fresh juices and local produce (as is the only way these days) and Greg has stocked the bar with a wide range of Amari (beverage bitters from Italy) which is great for those who love bitter sweet digestivo. 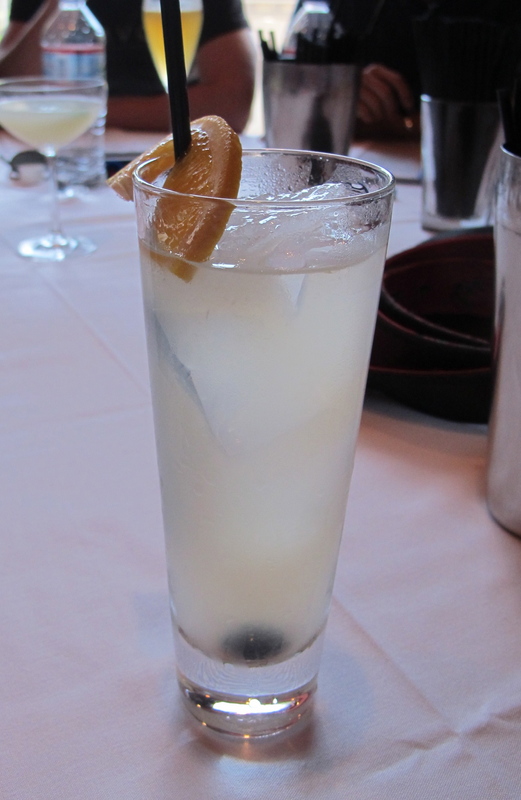 I have mentioned several of Greg’s drinks in past posts, because they are excellent. Acero was one of my favorites during Fall and is still available at both locations. 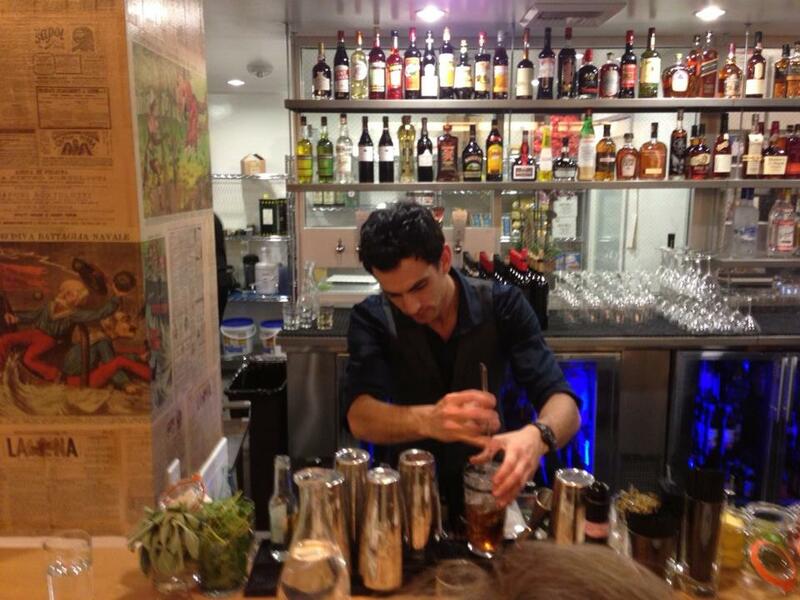 The cocktails on the menu are all great, but if you ask Greg (when he’s tending bar) to make you something ‘bartenders choice’ he always comes up with something fantastic whether it’s a classic made correctly, or something he makes up on the spot, he always makes sure his customers are happy. This place gets 5 out of 5 for food. It is hands down one of my favorite places to eat because I love Italian and this is done to the highest degree. Drinks easily get 5 out of 5. I have only ever had drinks made by Greg himself so I may be biased, but from what I can tell all the bartenders have been trained to make the drinks correctly too and the options are a great range for all tastes. This week I wanted to write about a restaurant that is always consistent, seeing as recently I keep finding places I love (and write about) have changed their menus a week later (to keep up with trends) and the items I craved have been taken off! 😦 I do understand that some foods are seasonal but it’s so hard for someone like myself (fussy) to find a dish i’ll eat at all, so once I have done it’s even more distressing to not be able to get the same meal again on the next visit. Anyway, I have been coming to SugarFish for over a year now, and their quality of food has always been above and beyond. They also never change their set menu (hooray! ), which is what I’m going to cover in this review. A lot of people tend to be very shocked that I am a huge sushi lover, and I have to admit I don’t understand it myself. The fact that I never used to eat anything other than pasta, and now regularly enjoy raw fish is a somewhat dramatic leap. Yet, for some reason, it is a genre of food I really enjoy. I have always liked smoked salmon, so when I first went to a sushi restaurant I tried the salmon sushi and found that the raw salmon is a similar consistency to smoked, which didn’t bother me at all. From eating salmon sushi, I eventually branched out to trying other light fish like ‘yellowtail’ and ‘halibut’ although I never found myself wanting to try tuna. For some reason the smell of tuna really bothers me (well canned tuna anyway) and for the longest time I couldn’t get my mind set out of that. 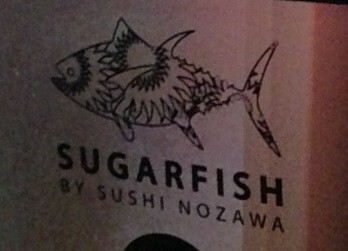 Anyway, walking in to SugarFish about a year ago, my boyfriend (FG) and I didn’t know what to expect. 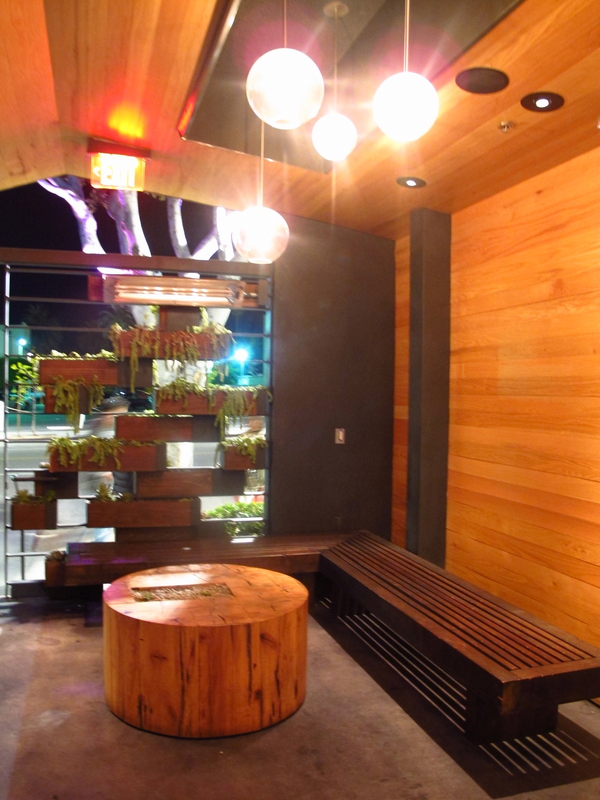 The place itself is small with bamboo style wood everywhere and plants on one of the side walls. They don’t take reservations so make sure you arrive well in advance of when you want to eat, because they do fill up quickly. We had been told repeatedly by people that they make ‘great sushi’ but our understanding at the time was limited and we really just thought, ‘it’s just rice and raw fish, how good can it be’. How little did we know! Chef Kazunori Nozawa is a Japanese Chef who has been working with sushi since he was 15 years old. When he came to America he started Sushi Nozawa in Studio City, California with the aim to get Americans out of the thinking of extravagant rolls and back to the no-frills basics of what Japanese sushi really is, very simple yet exceptional quality seafood. Sushi Nozawa closed this year (2012) but the SugarFish chain continues his philosophy and the ‘Trust Me’ set menu is similar to one at the original Sushi Nozawa location. The ‘Trust Me’ set menu is the one we always get, not just because of it’s value for money ($29.50 pp) but because it has a nice range of dishes within it. The first item is the Edamame. Plain, simple and nicely chilled with a little salt but not too much. Next is the tuna sashimi. Now, as I said before, I never wanted to try tuna but on my first visit to SugarFIsh I felt obliged to try it as it was part of the set menu and they don’t bring the next dish until the one you have is finished! So worth it, WOW this dish is good. The sauce is divine. It is slightly sweet like a ponzu sauce but a little more citric and sharp on the tongue. The scallions on top gives a nice change in texture to the moist soft flesh of the fish. Yummy. What immediately stood out to me was how ‘non-fishy’ it tasted, in fact all the dishes at SugarFish have that same quality and it’s because they use the freshest fish daily, never from frozen. Next come 4 little sushi pieces, two of albacore and two of salmon. The Albacore on my most recent trip (last night) was exceptional. It had the softest texture and melted in the mouth, there was a subtle sweetness to it and the cold fish over warm rice made for a really delicious combination. The salmon was also flavorful but I have had salmon sushi so much now, I find it dull in comparison to the other options. 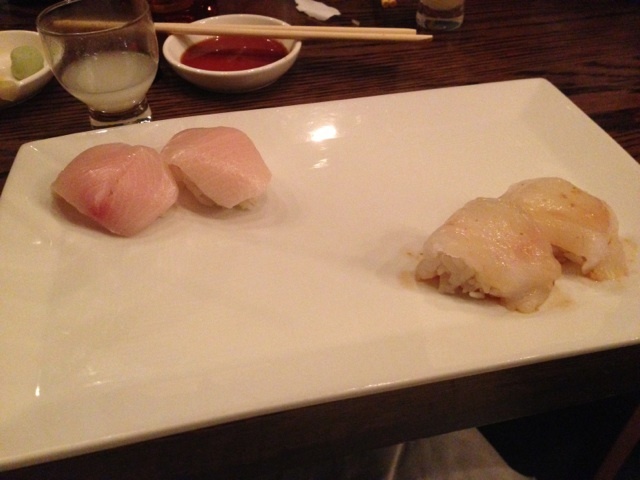 Next dish was the Yellowtail sushi (2pieces) and Halibut sushi (2pieces).The Yellowtail was the lightest in flavor but it had a nice texture and was clearly very fresh and slightly firm. The Halibut had a citric almost spicy tasting sauce added to it, which paired beautifully with the flavors of the fish itself. 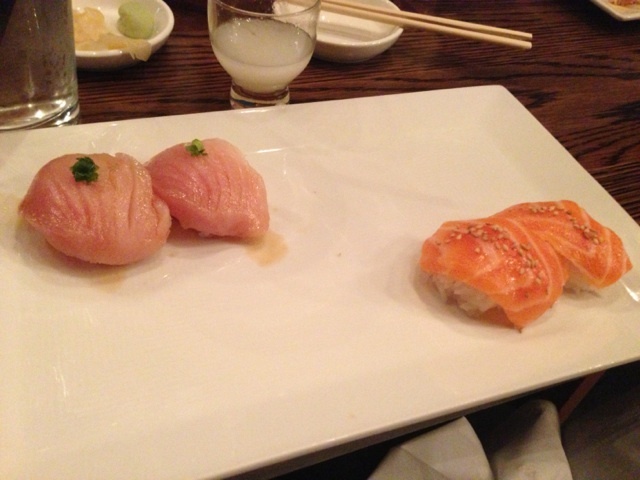 Another two great sushi pieces. I should mention, they do give soy sauce and wasabi on the side but we often find ourselves not using it at all because the fish flavors really speak for themselves. The Toro roll came out and our waitress told us it is best enjoyed whilst the seaweed is nice and crispy. I have to admit, i’m not a big fan of seaweed wrapped rolls usually but this one was good… Soft moist chilled toro inside warm rice with a crispy seaweed shell. The Blue hand crab roll was the last item to come out, and the crab was almost creamy in texture. It was very cold crab meat which is an odd sensation against the warm rice but seems to work and this is apparently the true Japanese way of preparing sushi. After the crab roll you’re all done off the set items, occasionally they have a special of the day they feature instead or as well as. There are also other set menus (a larger and lite version) or you can order off the general menu, but value wise and selection choices makes this particular set option our favorite. All the dishes appear tiny (by Western standards) but the leisurely timing in which the items are brought to the table somehow fills you up and we feel very satisfied every time we eat there. On our last visit we also enjoyed a nice bottle of Nigori Sake called ‘Sho Chiku Bai’ which was creamy, silky and mildly sweet. It paired beautifully with our dinner and I highly recommend. I’m yet to have a bad experience here, so they get full marks! It sounds obvious, but it makes SUCH a difference when seafood is so fresh. I always thought I knew good sushi until I came here, now I won’t go anywhere else. Their consistency of both quality and taste makes them one of the best sushi places I have ever been to and although the service can be slow at times, the staff are all very friendly and helpful so they don’t lose marks their either. If you like good sushi then this is certainly a restaurant you should check out. 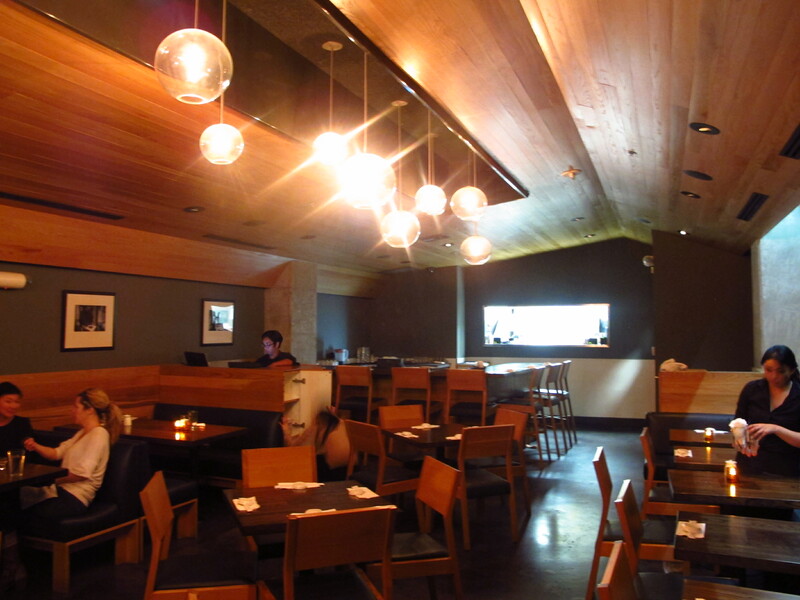 The Santa Monica location is the one we personally know and love, but SugarFish have a number of venues now, so look on their website for the closest one to you. Tagged as 5 star rating, best sushi in los angeles, california, Chef, Crab Roll, Delicious, Fish, Food, Halibut, Japanese cuisine, nigori, Ponzu, Restaurants, Review, Sake, santa monica, Sho Chiku Bai, Soy Sauce, Sugarfish, Sugarfish Santa Monica, Sushi, sushi nozawa, Sushi places, Toro, Toro roll, Tuna, Tuna Sashimi, Wasabi, Where to eat sushi in LA?, Where to eat sushi in Santa Monica? 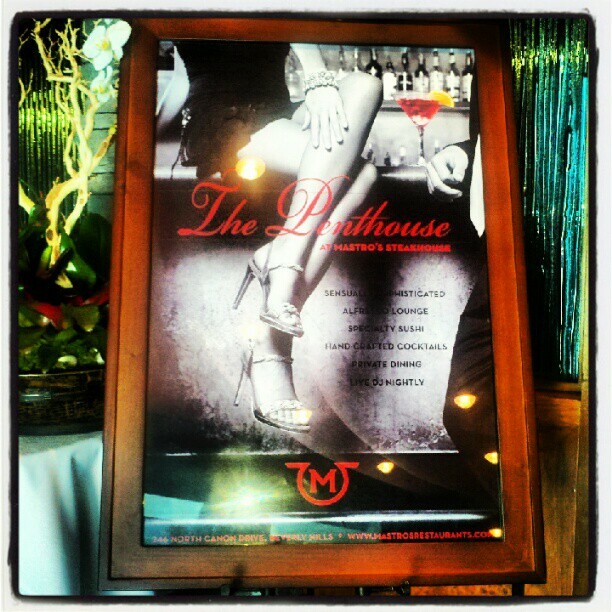 I recently visited Mastros Steakhouse in Beverly Hills. The new rooftop restaurant ‘The Penthouse at Mastros’ has it’s grand opening this evening and I felt it was important to share this info with my readers! The beauty and difference of this third floor addition is the inspiring mixology program and hand crafted cocktails that have been put together by Brandon Ristaino and Andrew Trauth. The upstairs adds more of a cocktail lounge feel to the usual Mastros set up and is described as giving ‘sensual sophistication’ to the dining experience. The Penthouse is a really gorgeous space and I am very happy to be a part of it’s opening. 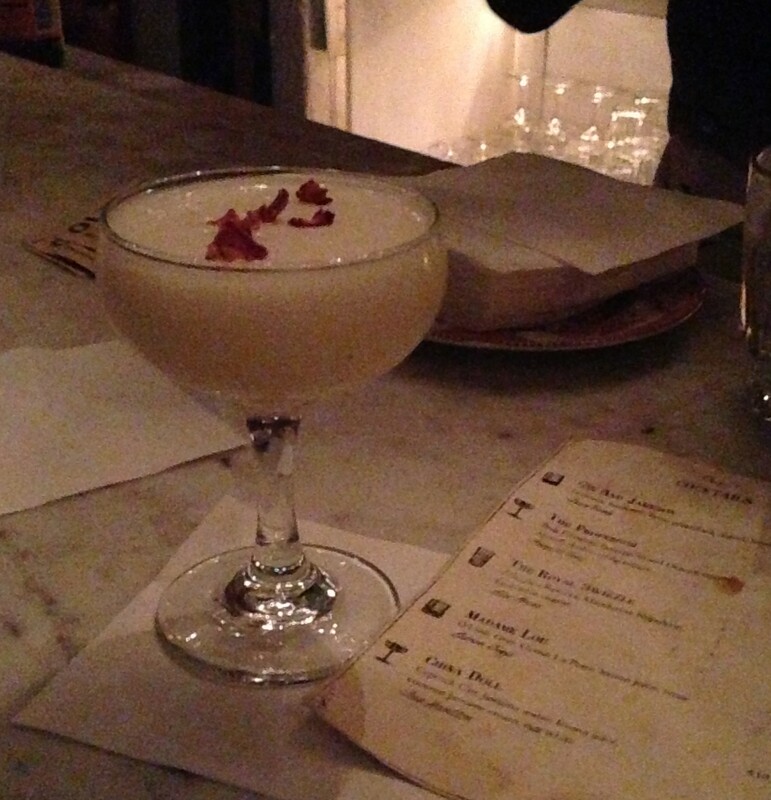 Having had a chance to sample all of the current cocktails I felt compelled to write about the above one. It’s so simple, yet so delicious! A very refreshing, slightly bubbly but delicate drink, with a gorgeous sweetness from the brandy and subtle orange notes. Plymouth works beautifully in this drink because it’s not a strongly flavored Gin, there is no intense juniper taste so it’s a great option for vodka drinkers to start enjoying Gin. There are a number of great cocktails on the menu (I will be talking about them more in coming weeks) and I highly recommend stopping in for a drink when you’re next in Beverly Hills. Yes, Mastros is known for being expensive and this is still the case but the quality of drinks you will be getting at The Penthouse makes it well worth a trip to the top floor.